Final Fantasy XV: King's Knight -Wrath of the Dark Dragon- is a mobile game pulled straight from the universe of Final Fantasy XV. 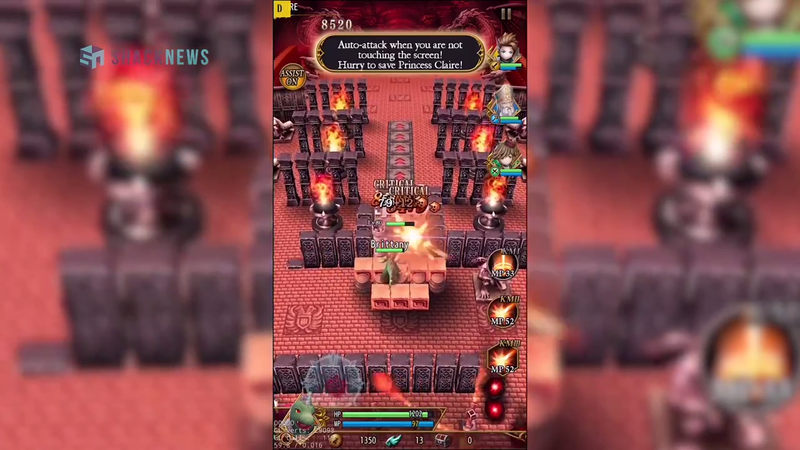 It's an action RPG that utilizes touch controls that finds you heading into dungeon after dungeon rife with malevolent beasts. Releasing for both iOS and Android, it's got a brand new story and world to explore with support for up to four mobile players at once. I played through the brief tutorial mode to get a feel for the game's retro-inspired dungeon-clearing, spell-slinging, hack-and-slash fun. It still needs some polish as far as the controls go, as I chose to play with one hand, and found movement to be a bit clunky here and there as I tried to navigate the smaller spaces and enclosures of the dungeon areas. You can check out some of my time with a pre-release version of the game, still in development, below. Final Fantasy XV: King's Knight -Wrath of the Dark Dragon-is available for preregistration right now, so if you're interested in getting in on the fun, you might want to go ahead and secure a spot to try and figure out what class you want to main. The given reasoning is simpler than fans might think. Comics, animation, and virtual reality collide in Square Enix's Tales of the Wedding Rings VR. You can play Square Enix's latest upcoming RPG now on your Switch. Delving deeper into the world of the newest South Park mobile game.